TV3's spend on original programming will exceed 60% of content budget. A new soap drama with working title ‘Red Rock’ will air in January 2015, employing over 100 people. Major entertainment co-productions will be produced with appeal to national audiences and the international market. New talent includes comedian Jason Byrne and economist and broadcaster David McWilliams. TV3’s IPU doubles output to over 100 hours in 2015. A new soap drama with working title ‘Red Rock’ will air in January 2015, employing over 100 people. Major entertainment co-productions will be produced with appeal to national audiences and the international market. New talent includes comedian Jason Byrne and economist and broadcaster David McWilliams. TV3’s IPU doubles output to over 100 hours in 2015. TV3 today updated the media industry on its programming plans and strategy into 2015 at an ‘Upfronts’ launch in the Shelbourne Hotel. For the first time, TV3’s programming spend on originated content exceeds its spend on acquisitions. The focus on originated content follows the opening last year of the TV3 Sony HD Studio and TV3’s growth in Irish programming in recent years. Soap: Under the direction of Element Pictures, Ed Guiney and Andrew Lowe, Company Pictures, soap guru John Yorke and writer Peter McKenna, TV3 will launch its first originated soap drama with the working title “Red Rock” which will be broadcast twice weekly from January 2015. Entertainment co-productions: TV3 will launch two major entertainment co-productions – ‘Sitting On A Fortune’ with Zodiak RDF, and ‘Algorithm’ with Soshefeigh Media, both of which will be filmed in the TV3 Sony HD Studio. 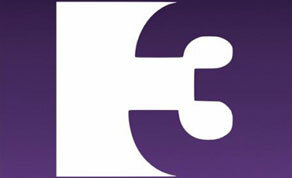 Returning to TV3 will be the hugely successful game show ‘The Lie’, co-produced by 3Studios and STV. Separately, it was today revealed that TV3 has bought the rights to create an Irish version of Channel 4’s hit show ‘Gogglebox’. Key acquisitions: Top acquisitions from 2015 exclusive to TV3 are ‘X-Factor’ and ‘Britain’s Got Talent’, and TV3 has secured ‘Downton Abbey’ for life of series. Sport and Events: TV3 will air the largest ever sport’s event on Irish TV, the 2015 Rugby World Cup, for which TV3 has exclusive rights to the whole tournament. 2015 also sees the return of UEFA Champions’ League and Europa League football to TV3 and 3e. Originated factual: TV3’s Independent Production Unit will double its output from 50 to 100 hours in 2015. New factual series from the IPU will be ‘Paramedics’ (following such successes as ‘Children’s Hospital’ and ‘Midwives’), ‘Islanders’ filmed on the west coast of Ireland, ‘24 Hour Shelter’ and ‘Lazy Chef’, hosted by Simon Lamont. ‘The Great Irish Bake Off’ returns alongside co-productions such as ‘Ireland’s Oyster Empire’ based in Co. Louth and ‘Paul Kelly’s Masterclass’, presented by the Great Irish Bake Off judge. Also returning to TV3’s schedule from 2015 will be Keith Barry’s wildly successful ‘Brain Hacker’. To date, ‘Brain Hacker’ has been sold in over 76 countries including New Zealand, Poland, China and across South America. New talent: New talent announced today included comedian Jason Byrne alongside crime reporter Donal MacIntyre and economist, author and broadcaster David McWilliams. Jason will host a new chat show/stand up series in 2015 while Donal will present a new investigative series called ‘Donal MacIntyre Investigates’. Full details of the 2014/2015 schedule were presented at TV3 Group’s autumn launch in September 2014. David McRedmond, CEO, confirmed Q1 2014 as the best quarter’s trading for TV3 Group since 2008, with revenues up 5%, including a 60% year-on-year increase in digital revenues. This follows the successful long-term re-financing of TV3’s debt in 2013 and an increase in the number of TV3’s employees to 267, the most ever employed by the company. TV3 Group Director of Content Jeff Ford said: “2015 will be a landmark year for TV3 that will see the group invest the most it has ever done on home produced originated programming and a number of major entertainment co-productions. Our strategy benefits both the advertiser and viewers in a way that bought-in acquired programming cannot. Wholly owned programming gives advertisers greater control and flexibility and much deeper engagement with their audience than acquired content and a foreign schedule.